Custom Writing How it Works Prices F.A.Q. Critical thinking is an important part of contemporary world. The scientific progress we witness would have never been achieved without the ability to reflect on the knowledge people gain. Maybe you wonder why such critical lens essays are needed at all and what is the use of them? Evidently, natural sciences deal with facts and data. Humanities and social sciences in turn deal with meanings and interpretations. By understanding the world, a given person will be able to construct their own worldview and values. Because of this you should know how to work with quotations, how to interpret them correctly, and how to compare them with other quotations and sentences. A critical lens essay requires you to think critically and be able to analyze a piece of literary text. 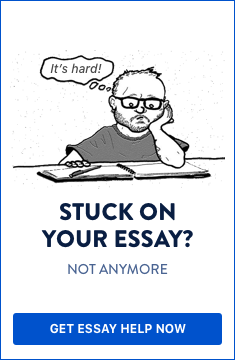 What is a critical lens essay? A critical lens essay is such a paper in which a certain assertion, phrase, and idea is analyzed by referring to literary works. It is not merely an essay on a literary work but is rather of more comprehensive essence. The assertion in question can be interpreted in different ways as long as they render its meaning correctly and objectively. In order to write a good critical lens essay, you have to be ready to analyze the given quote by discussing it in the context of a novel, story, poem, and so forth. In order to write a good critical lens essay, you have to be ready to analyze the given quote by discussing it in the context of a novel, story, poem, etc. You should be careful while searching for quotations for your critical lens essay. At any event it is not recommended to work on a quote which is quite popular; for instance, Nietzsche’s assertion: “That which does not kill us makes us stronger.” Many users of social networks publish or share such quotes which can make you think that these assertions are really subtle. However, it is good if you stand out amongst your classmates as the one who has found the most interesting and original quotation, of course without the help of Facebook. A very good quotation can be found by reading. You can search in essays of Oscar Wilde, Thomas Mann, etc., or in the novels of authors like Marc Twain, John Steinbeck, and in the plays of George Bernard Show, for instance. In all cases it is recommended to find a quote which will provide you with the opportunity to write a longer critical lens essay. You have already chosen the quote to write about in the critical lens essay but you have to find a novel, story, or poem in order to apply this quote. Not that this is absolutely necessary: a critical lens paper could be written without referring to literary works. Notwithstanding, teachers will expect from you to be acquainted with the material studied during the literature classes. Choose your literary work according to your own feelings and insights. Try to write down several titles which you associate with the quote. After that choose the one which you are most familiar with, and then write down several observations (thoughts, feelings, comments) which will be presented in your essay. Do not forget to note everything coming to your mind. Do not leave this for the next day because you may forget it. Your critical lens essay should be long enough to interpret the quote in question, but at the same time not exceeding five paragraphs. First you need to introduce the quote and to present a thesis formulated in one or two sentences. The next paragraph has to be related to the quote and to show a possible (and correct) direction for interpretation. The other two paragraphs need to be focused on a literary work. The last one is a conclusion recapitulating the main points of your critical lens essay. Of course, other types of conclusion are allowed, for example an “open conclusion” which only hints other possible interpretations. What is the main subject of the quote in question (love, poverty, friendship, home, patriotism, etc.)? In what context the quote was written or said? It is good to read the whole passage (and even several pages) where the quote is found. There are assertions which are often misinterpreted. Does the author affirm a given idea, view, value, or it is the opposite - they are rejected or negated? To whom the quote is directed? You do not need to describe the whole plot of the novel/story. What you need to do is to take one event, situation, or a personal story of one of its characters. The story presented by you should correspond to the given quote. Let’s say, if the quote refers to love, you should use an example as implementation of the idea implicit in the quote. Quote: “We are healed of suffering only by experiencing it to the full” (Marcel Proust). The quoted assertion by the French writer Proust shows that suffering is an inevitable part of human life. People usually hope that someone else will save them from suffering - God, a miracle, or another person. (THESIS) But all we have to do is to endure the whole suffering in order to grow personally. We must take our suffering as an opportunity, and not as an enemy. The Russian writer F. Dostoevsky offers some of the most striking representations of the subject. Suffering is the leitmotif in many of his works, including the novel Crime and Punishment. Suffering, as the author shows in his novel, helps us grow and evolve. However hard it is to endure it, all we have is to suffer. It is completely wrong to think that suffering is something bad - on the contrary, it makes us stronger. The novel’s main character, Raskolnikov, commits a double murder and then suffers from what he has done. The interesting fact is that he is not aware of the wrong deed, and instead of this thinks that the murder was “for the good of mankind.” Gradually, he falls in love with the young Sonya but she is not his “savior.” Sonya suffers in turn but she is not able to help him. Raskolnikov falls into extraordinary mental states; he is near to getting mentally ill. At the end of the novel Raskolnikov’s suffering is over. The reader is not informed in what way and why. The interpretation of the story could be as follows: Raskolnikov has a feeling of guilt but he tries to suppress it. This ensues in suffering, such is the punishment for his crime. At the end of the book Raskolnikov has probably realized what he has committed and this helped him to get rid of suffering. The influence of Sonya (who is a pious Christian) is rather of secondary importance but still it can be taken into account as well. As the case with Raskolnikow shows, suffering is inevitable, but it cannot be healed accidentally. One has to pass through all of its stages and then this one will be a grown person with strong character. Remember that it is not obligatory to “prove” the validity of the given quote. You can also do the opposite: to reject it by bringing forth examples from literary works. It is important to have your own personal view on the subject: don’t merely describe the plot or the character. This type of essay is called “critical lens essay” precisely because of its not being descriptive. Psst... 98% of SolidEssay users report better grades! I had several assignments to be turned in during one week and I just wouldn't be able to manage it myself. Thank you for helping me out. You did a great job. © 2019 SolidEssay. All Rights Reserved.